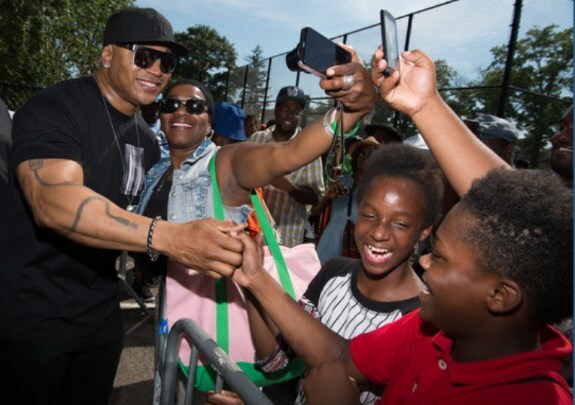 LL Cool J - a local guy who made it big in the entertainment business also continues to give back to the Southeast Queens Community in a number of ways. One of my favorites is to help sponsor the summer basketball leagues at O'Connell Park. LL is one of the rare hip hop pioneers who was able to transition his hip hop stardom into a viable TV and film career. Cool J is being honored with a Kennedy Center Award, which is a presidential honor. He is the 1st solo hip hop artist to get this highly respected honorary award. Kudos to LL Cool J from us at the Southeast Queens Scoop. Cool J will get his award December, 3rd, 2017 along with Gloria Estefan, Lionel Richie, Norman Lear and dancer-choreographer Carmen de Lavallade, the New York Times reports. In a statement for New York Times, and reported by Rolling Stone Magazine, LL Cool J made the following humble statement about the induction "he is proud to help "knock the door down for a new genre." "To be able to come from the corner of Farmers Boulevard in Queens, banging on a garbage can, all the way to the Kennedy Center Honors, that's a long journey." This week, we found out that LL Cool J will become the first solo hip hop artist to receive the Kennedy Center's coveted presidential honor. While everyone knows LL Cool J as an accomplished rapper, author, and entrepreneur, we know that he represents the great talent and determination that exists throughout Southeast Queens. I am proud to represent a community teeming with individuals who are realizing their greatest potentials each and every day. The Kennedy Center Honors ceremony will take place on December 3, 2017 and will air on CBS. To learn more about this exciting announcement, you may click here, and to learn more about Jump & Ball, you may click here.